I saw this quote come alive for me today! After spending the morning at my office, I drove down to our local Trader Joe’s to pick up some groceries. I parked my car, and walked across the parking lot to where the shopping carts were stored. There in front of me was a lady snuggling her small white dog against her body with her left arm, while holding onto a cane with her right hand. She had a smile on her face as she pulled out a cart. I was ready to say something to her about how cute her dog looked cuddled up to her, when something distracted me — and the words were left unspoken. She moved into the store ahead of me, with her dog now safely sitting inside the shopping cart. As I was looking at the beautiful orchids, I noticed a young woman, who worked for Trader Joe’s, quickly come up to the older woman and begin talking with her. I couldn’t hear clearly what was said, but it seemed to be something about a problem with having the dog inside, unless it was a service dog. I heard the older woman talking about really needing to get her groceries right then, because she hadn’t eaten yet. The next thing I knew, the younger woman smilingly handed the dog to its owner, and then took the cart into her own hands. Off they went together to get the shopping done! These two women were unknown to each other just a few minutes earlier. They were different ages, races, and had different physical abilities, but they were now moving forward as a unit! As I shopped, I could hear them laughing and talking together. One read aloud from her grocery list, while carrying her beloved dog, and leaning on her cane. The other, right beside her, reaching up to take the appropriate items off the shelves and put them into the cart. They moved up and down one aisle after another. What had began as a problem to be solved, had turned into a shared task, which both seemed to be enjoying! The kindness of this young store employee touched my heart. It would have been so easy for her to have just told the older woman that she would have to leave. She didn’t have to get involved in helping her. Instead, she gently reached out to another human being in need. I don’t know if others in the store were aware of what led to these two women joining together, but I’m so happy that I can share this story with you. I want the ripples of this unexpected kindness to have no logical end! Will you help keep it going? Help me extend the ripples, by sharing this story if it touches your heart, by commenting here with your thoughts, and by paying the same type of kindness forward to others as you go about your daily lives? Practice random acts of kindness, just because it feels good! 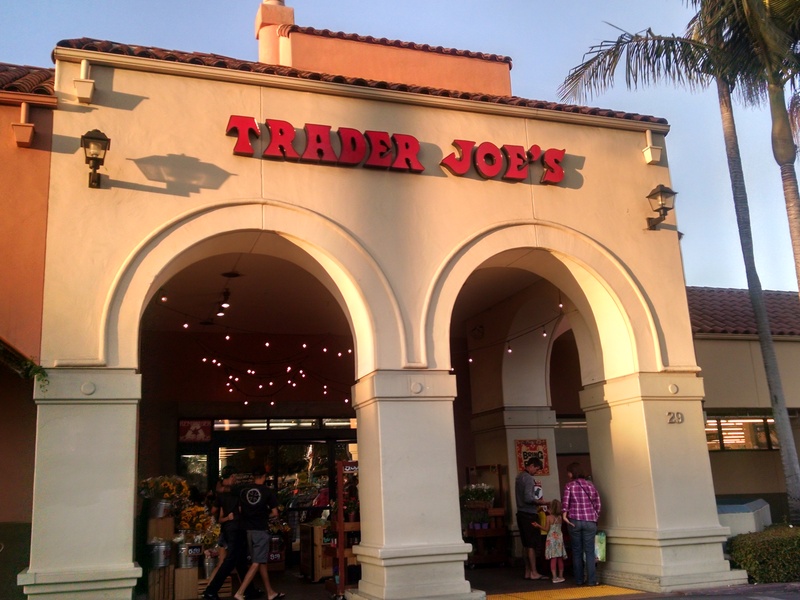 * Oh…and the next time those of you in Santa Barbara go into the Trader Joe’s on Milpas Street, give an extra big smile to the young woman, with long, wavy hair, who works there. She is pretty special!